When choosing the right option from the wide range of brands on the market, considering one with worldwide appeal is a good idea. With Hatsan air rifles, you get power and performance with an international edge. Hatsan, one of the most recognized names in the international airgun market for over three decades, is now making its products available in the United States. The brand is family owned and operated every step of the way. 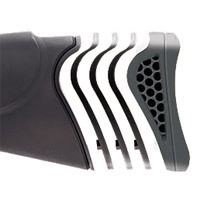 In fact, the original founder is still very involved in Hatsan air rifle development and design. While other manufacturers work from widely used templates, all Hatsan designs are conceived and developed in-house. This means Hatsan air rifles are always an original, not a reproduction. With a focus on performance and power, Hatsan air rifles offer special features that come standard with the product line to provide shooters with a better shooting experience. 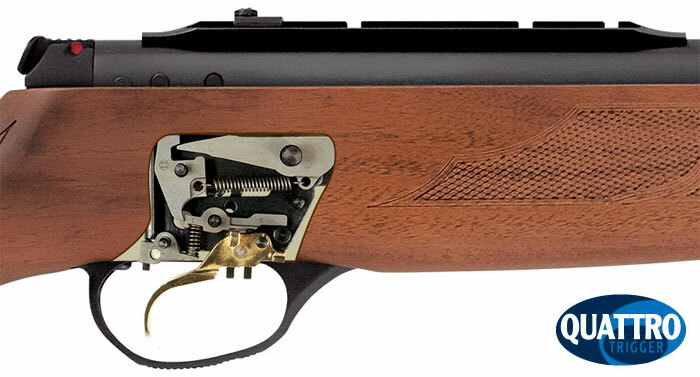 A leader in the industry with a global appeal, Hatsan has been making air rifles for other airgun distributors for years. 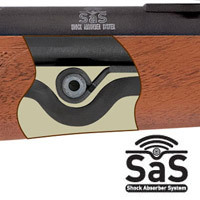 In fact, Daisy used Hatsan to produce their popular line of Winchester air rifles and there have even been (and still are) Walther branded Hatsan rifles on the market. Advanced two-stage match trigger only available from Hatsan. 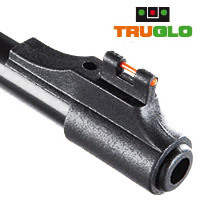 Microadjustable rear sight and front sight to lend more accuracy to every shot.